MAYA U5 is the versatile and plug-and-play 5.1 channel USB sound card for multimedia, having advantage of light weight, black compact size and convenient potability. By only connecting USB with desktop, notebook, netbook and etc, basic driver will be installed automatically in Windows and MAC OS X, and you can use MAYA U5 conveniently. In addition, you can get various sound effects and get easy control of sound control on the driver panel when included MAYA U5 exclusive driver for Windows is installed. VIA`s High performance EnvyUSB USB2.0 FS audio controller used for high-end sound card and high quality High Definition audio codec(DAC SNR 110dB) are mounted. Further, outstanding stability and high quality sound is achieved by mounting the exclusive super-low noise constant voltage regulator on the codec, which is one of the most important parts for quality of the sound, by perfect ground-separate design between digital and analog and by using high quality parts guaranteeing safety. Despite the small size, it supports such various speakers as analog 2-Channel (2.1CH), 4-Channel, 5.1-Channel and digital speakers. Furthermore, you can get sufficient sound volume and don’t need additional external headphone amplifier even when using high impedance headphone of around 150 Ω because high performance headphone amplifier is in-built in the headphone terminal area. By built-in world famous stereo sound technology, Qsound, you can enjoy ample stereo sound when listening to music and watching movies. And it supports EQ control to fill the insufficient sound with your own speaker. 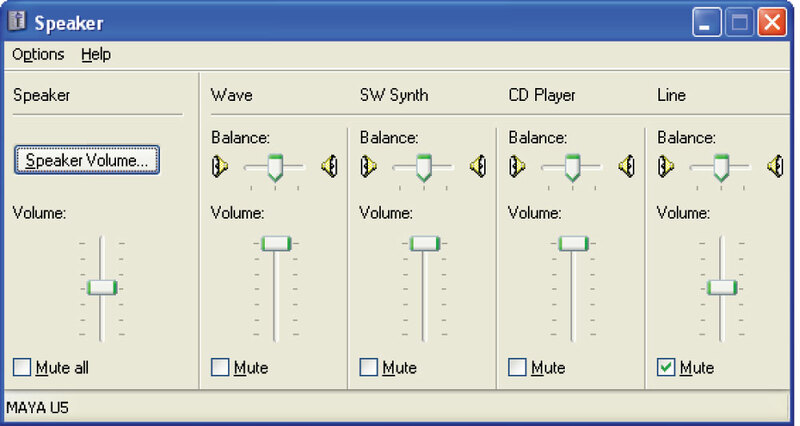 (QSound feature is supported only with Vista and Windows 7). 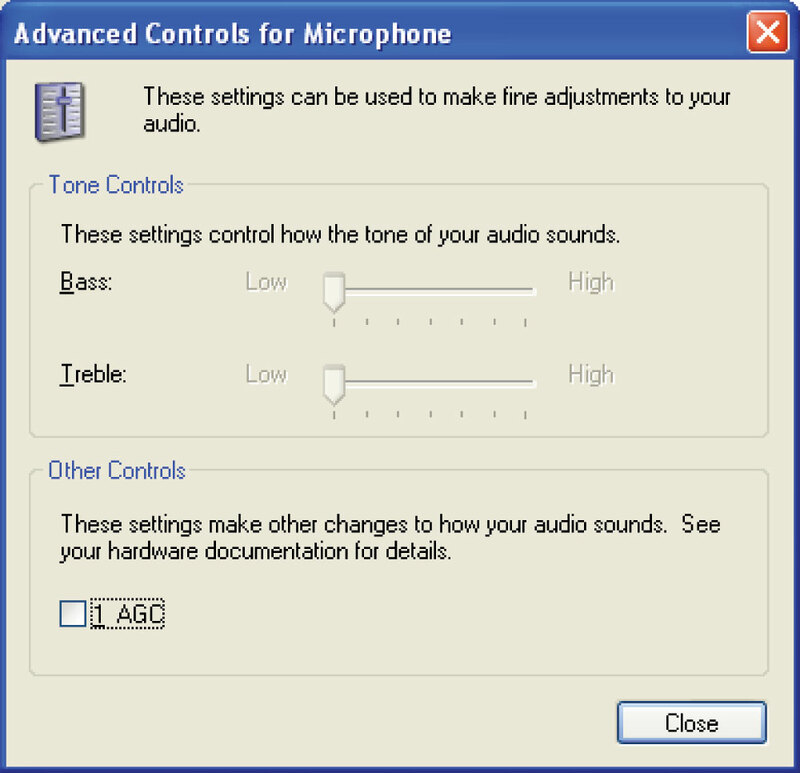 By supporting high performance microphone input, it can record your voice clearly with sufficient sound volume. And by built-in stereo mix feature, it can support internet broadcast through mixing microphone, line-in input and internal playback sound and can record any sound like internet blog sound clearly. By supporting optical output terminal, it can be used in connection with receiver, home theater, digital speaker and etc. and can record digital output of digital output-enabled audio equipments without loss through digital input terminal. In addition, it can record internal playback sound without loss if you connect optical input/output terminals with optical fiber cable. It can playback Blu-ray and HD DVD Audio source at 24bit/48kHz. ※ You need the Blue Ray ROM Drive and a program like the Power DVD that plays source to use the Blu Ray on the Computer. Smoothly blinking red LED in playback is mounted to know the device is in work. Unnecessary noise at the time of ON/OFF is suppressed by mounted pop-noise cancellation circuit. ① Line In : This is Input terminal to get input of stereo signal from audio equipment like CD player or MP3 player mixer. ② Mic In : This is mono signal input terminal from microphone. ③ Headphone output Terminal : This is the terminal to be used connecting with headphone. ④ Front : Output terminal of front speaker. ⑤ C/W : Output terminal in the central speaker and woofer speaker. ⑥ REAR : Output terminal of rear speaker. Connect enclosed USB cable with MAYA U5 USB terminal and PC and notebook USB terminal. After connection, “MAYA U5” is shown on the windows if it is recognized. 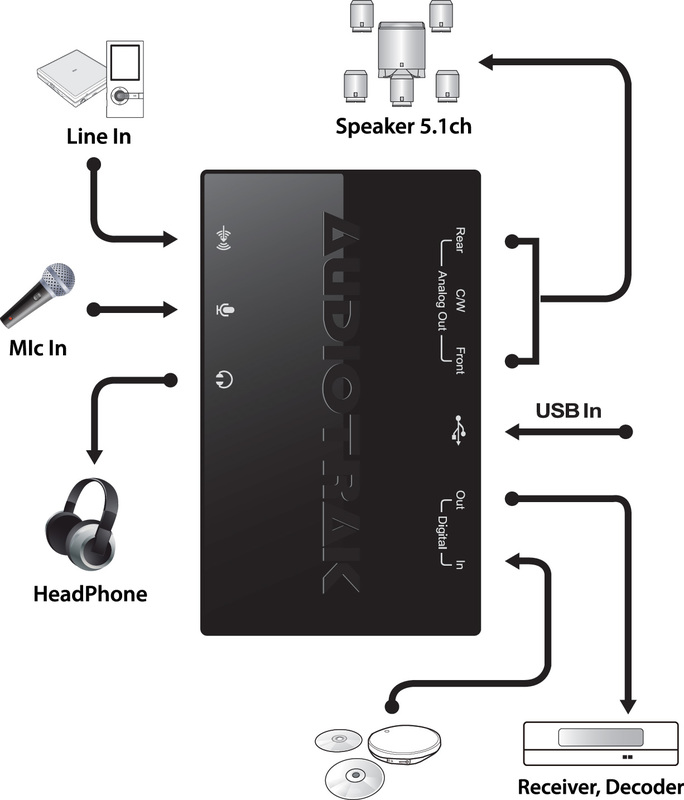 With the PC used by several people, you can enjoy music and use microphone without installing driver. Please install the driver as per the below pictures and re-boot your computer after installation. You can delete the driver by running Setup.exe or running VIA Platform Device Manager in Control => Program. Please follow the below pictures for deleting. 2. Master Sound Mute : You can mute the whole sound volume by checking this. 4. Menu is shown by opening panel to the right side. 5. Advanced Option : You can change the language of the panel or set up whether or not you will show panel icon on the task bar on the bottom right side of desktop. 6. INFORMATION : You can check dirver version, windows version, Direct X version and control panel version. 1. This is analog speaker set up menu. 2. This is analog speaker set up menu volume. 3. Front : Adjust front speaker volume. 4. C/LFE : Adjust C/W(center/woofer) speaker volume. 5. Side : Adjust Rear speaker volume. 6. You can set up whether you adjust right/left volume at the same time or separately. 1. 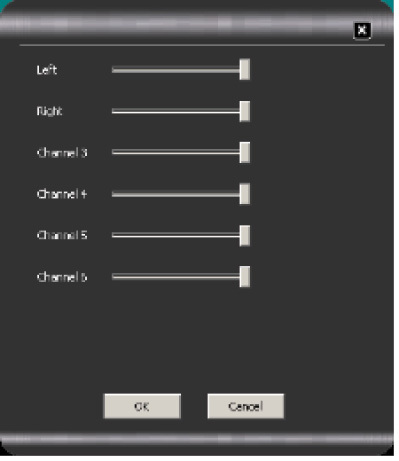 This is channel set up and speaker test menu. 3. 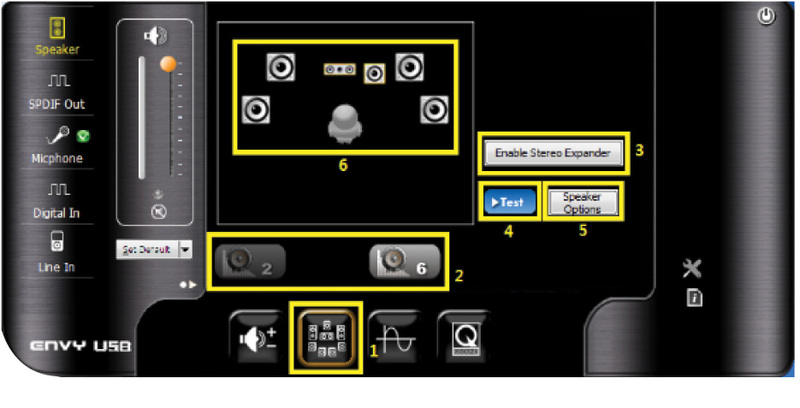 Enable Stereo Expander : Please use this feature to expand 2channel signal to 5.1 channel. * References when enjoying 5.1 channel sound. You can use Stereo Expander feature when you playback music or videos, not 5.1channel movies, and want to enjoy them as 5.1 channel. This feature is available only with analog output, not with digital output. If you want to playback 5.1 channel using digital output, you can use surround function like Dolby pro logic feature which is in-built in your digital speaker or receiver, or you can set Passthrough output set up when you playback AC3, DTS format 5.1 video. (This is to send digital audio data through receiver as 5.1 channel digital source itself when playing-back 5.1 channel video). Please refer to FAQ in the Customer Support of our website for Passthrough set-up. 5. Speaker Options : You can set up whether you will use the speaker or not according to the configuration of the speakers you will actually use. 6. 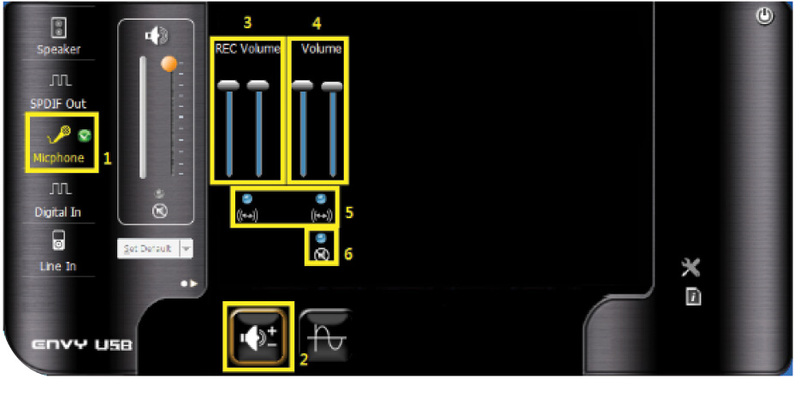 Different speaker configurations are shown according to the channel set-up. 1. Default Format : Set up Sample rate value and Bit Depth. 2. Sample Rate : Set up Sample rate of analog output. 3. Bit Depth : Set up Bit Depth of Analog output. 1. 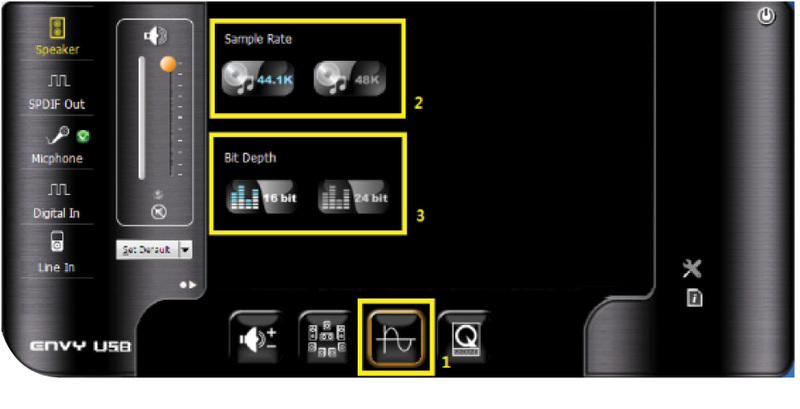 QSound NanoQ Effects : Use of QSound function and set-up can be changed. 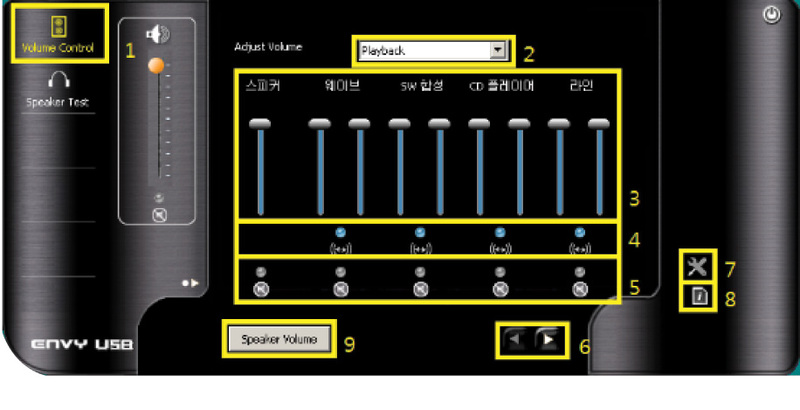 *QSound function can be used with Windows VISTA,７only. 2. 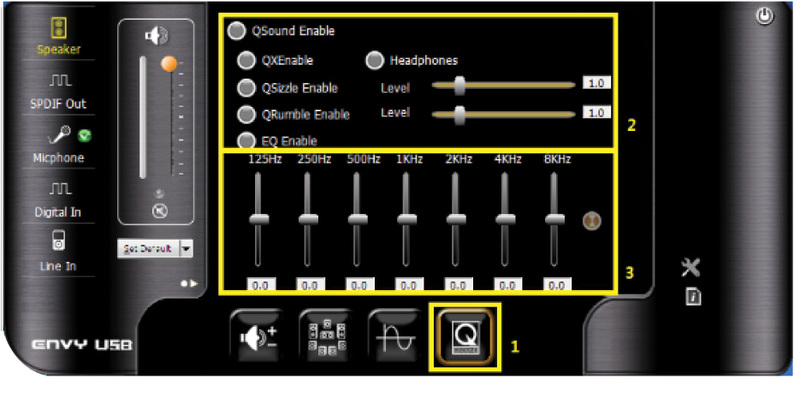 QSound Enable : QSound virtual surround function is activated. QXEnable : This is to activate 2 channel virtual surround function, which centralizes the phase of the stereo output or expand it to make the feeling of spaciousness. Headphone : This will make the QX function suitable for headphone and make set-up of spacious feeling. QSizzle Enable : This emphasizes high tone, dynamic spectrum. QRumble Enable : This emphasizes low tone, dynamic spectrum. 3. EQ Enable : This activates EQ application. *Frequency of 125Hz~8kHz range can be adjusted. High Hz range means high tone, and low Hz range means low tone. You can enjoy ample sound by adjusting it according to your speaker. But please be noted that the sound can be distorted if you raise it too much. 3. This will adjust digital output volume. 4. You can set-up whether you will adjust right/left volume at the same time or separately. 3. REC Volume : This will adjust microp-hone input volume. 5. You can set-up whether you will adjust right/left volume at the same time or separately. 2. Volume Control : Volume adjust menu of Digital In. 3. REC Volume : This adjust digital Input volume. 2. 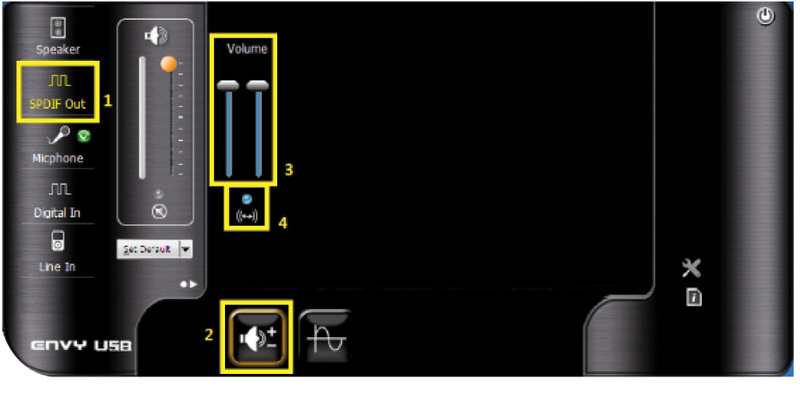 Volume Control : Line In volume adjust menu when using external stereo output equipments. 3. REC Volume : This adjust Line In input volume. 4. Volume : This adjust Line In monitor Volume. 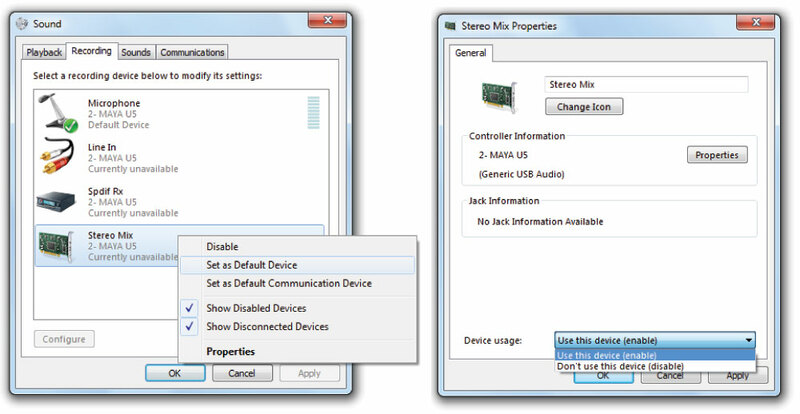 If you open Recording Device by clicking speaker on the task bar in the bottom-right side of desktop with the right button of the mouse or if you go to Record in the Sound Menu of Control Panel, press right button of mouse and check on the Not-usable device, and then, click Stereo Mix with the right button of mouse and set Use as below pictures. Setting-up as above, you can get arrow menu on the panel as shown in the left. If you press the arrow mark, stereo mix menu is shown. 1. Stereo Mix : Stereo Mix set-up menu. 2. Volume Control : Volume Adjust Menu. 3. REC Volume : This adjust Stereo Mix Volume. * If you set the volume at Max when adjusting stereo mix volume, the sound is amplified more than the current level. Optimum volume is around 40, but you can adjust the volume properly during internet broadcasting and recording. So please adjust the volume properly. 1. Volume Control : Set-up Menu for Output volume. 2. Playback : This adjusts output volume of each source. 3. You can adjust the level of various sources on the speaker or headphone. 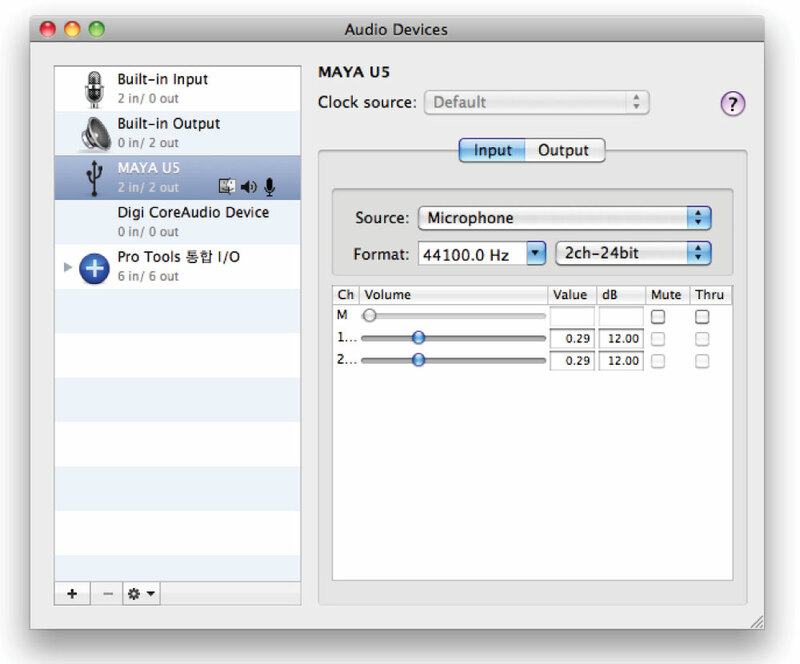 You can adjust the listening sound through speaker at the time of Microphone Input or Line In Input. 4. You can set-up whether you will adjust right /left volume at the same time or separately. 7. Advanced Option : You can change the language of the panel or can set whether or not the panel icon will be shown on the task bar in the bottom-right side of the desktop. 8. INFORMATION : You can check the dirver version, windows version, Direct X version, control panel version and etc. 9. 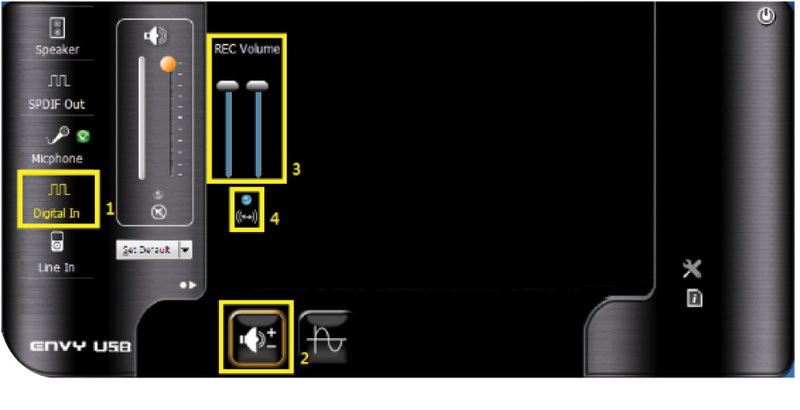 You can adjust the speaker volume when using multichannel speaker like 5.1 channel speaker as below pictures. Left : Controls volume of front left speaker. Right : Controls volume of front right speaker. 2. 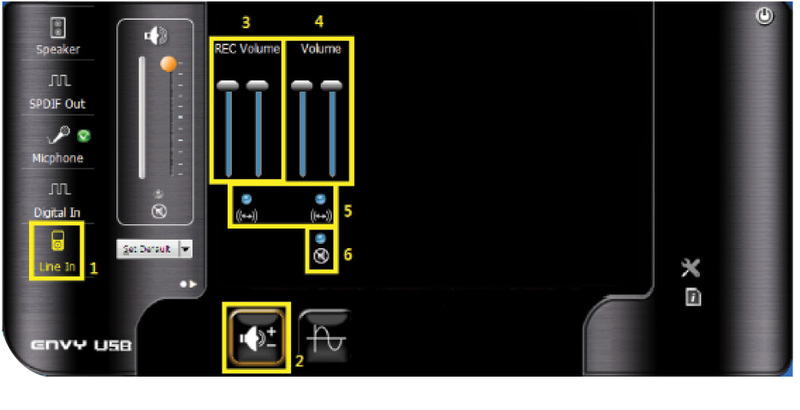 Digital Audio Interface : You can use this function when recording digital input source. 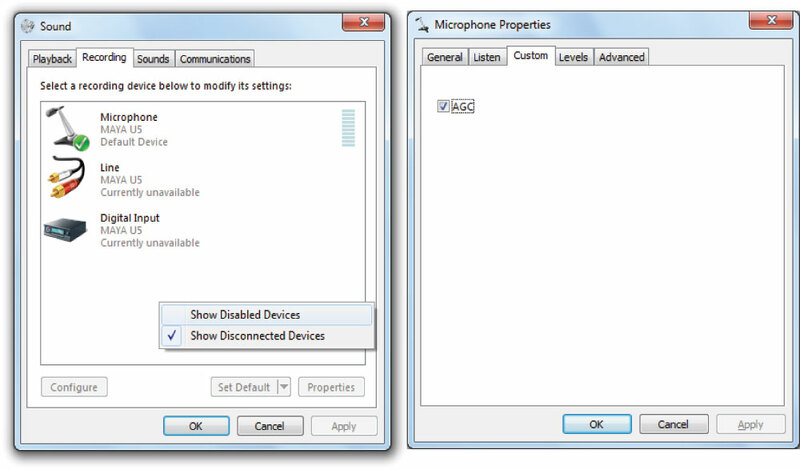 Stereo Mix : You can use this function when recording windows internal sound and Line In sound or Microphone Input together. 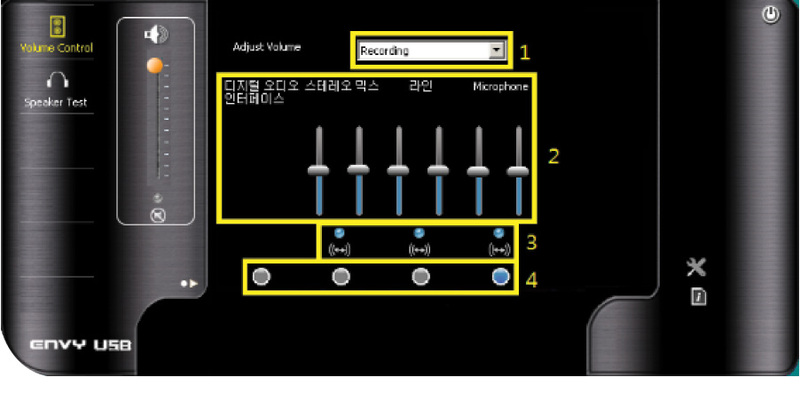 Line : You can use this function when recording the sound of external stereo equipments like CDP, MP3P and etc. Microphone : You can use this fuctionat the time of Microphone recording. 3. 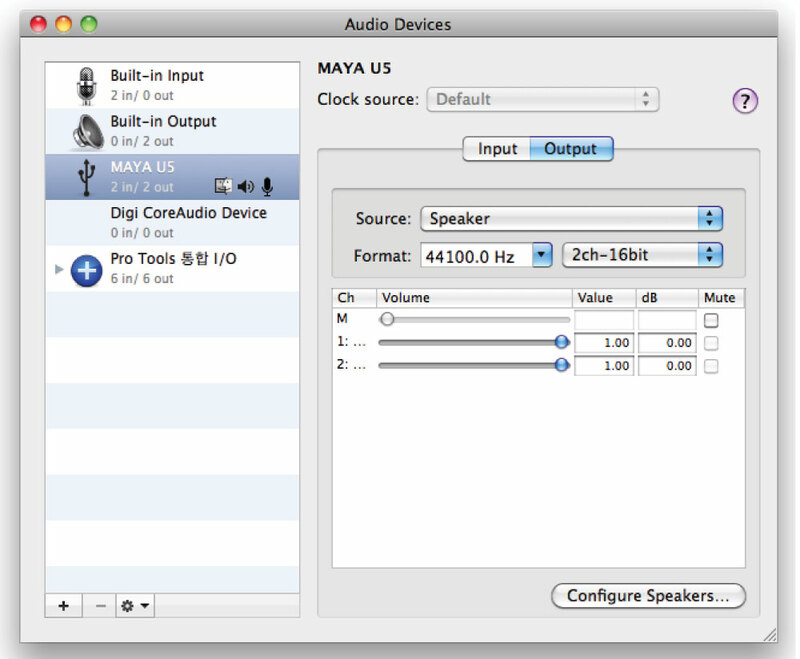 You can set-up whether you will adjust right/left volume at the same time or separately. 4. You can select the source to be recorded. 1. Other : You can adjust volume of each source. 2. You can adjust the volume of Wave, SW synthesis, CD player. 4. You can mute each source. 1. 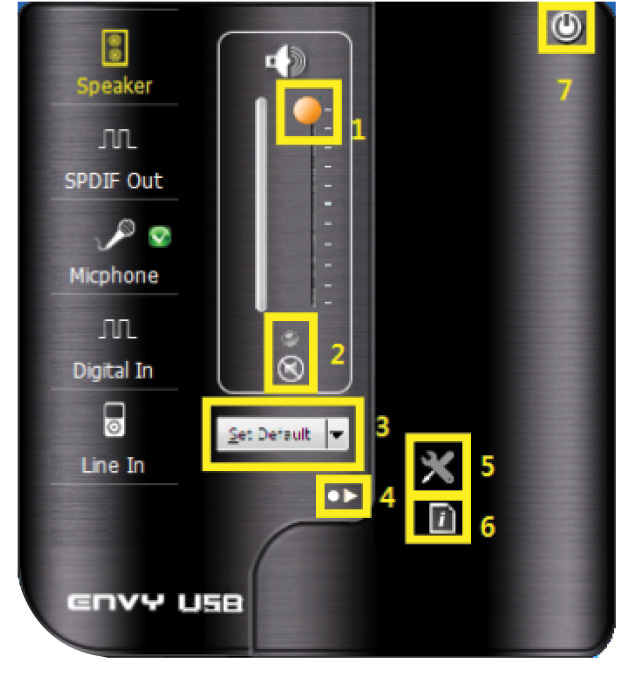 Speaker Volume : You can adjust each speaker volume when using multi-channel speaker. 2. You can amplify the level of microphone input. If you press Advanced Menu of the above panel, the menus as the below pictures are activated. 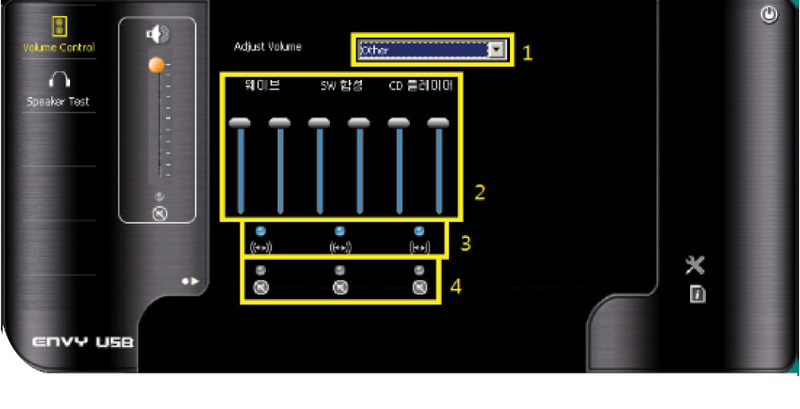 If you select AGC(Amplifier Gain Control) as the above pictures, you can get raised microphone volume of +30dB. You can use this by just connecting USB without specific driver installation. ※ We don't offer extra drivers. 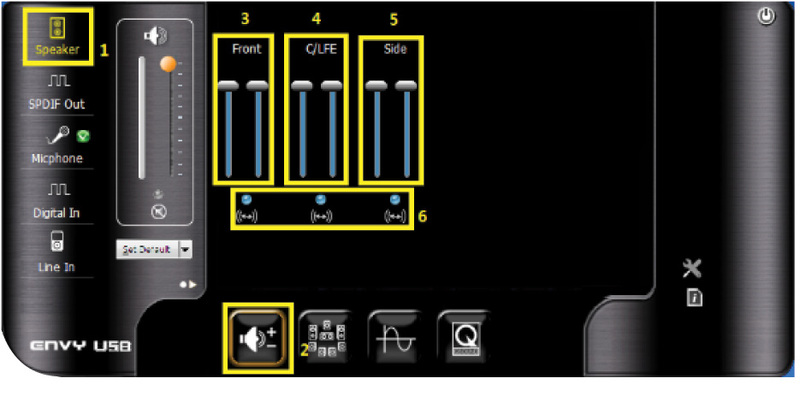 You can make detailed set-up of input/output on the panel as below pictures. 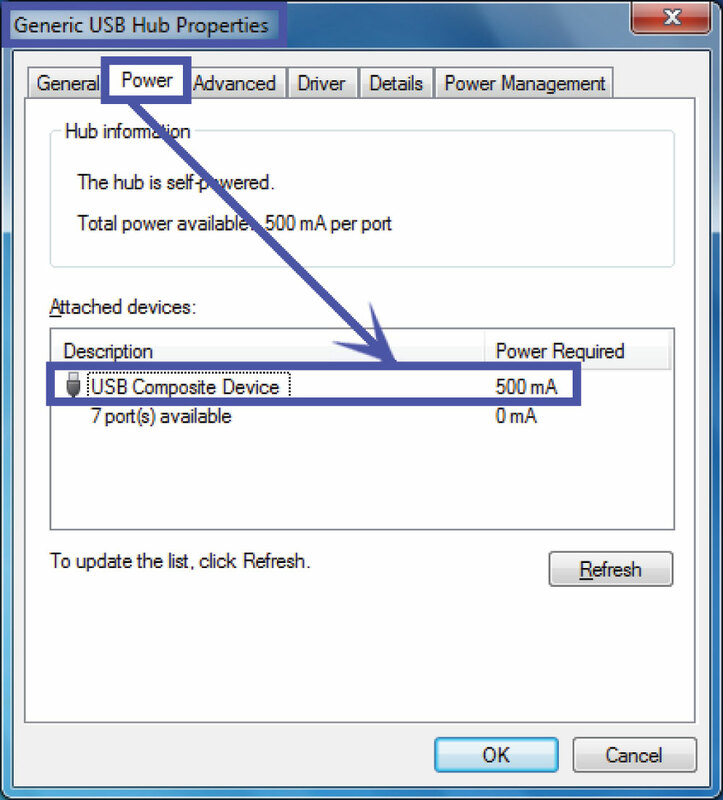 ■ If keyboard, mouse or other device with MAYA U5 connected to the same USB HUB, USB bandwidth is reduced. So maximum performance and functions to restrictions and may occur an error. Recommend to using Move your USB PORT, and USB HUB connected to the exclusively. 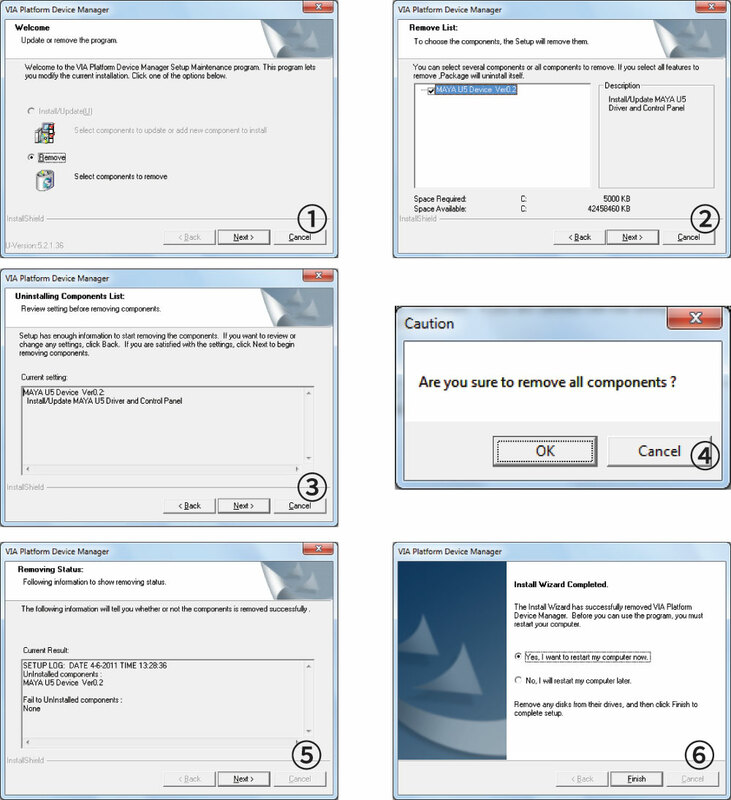 ※ Set-up of 24bit in Windows 7 can be done after driver installation.